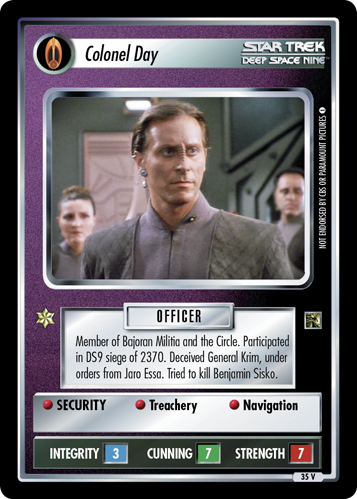 High-ranking Bajoran Militia leader. 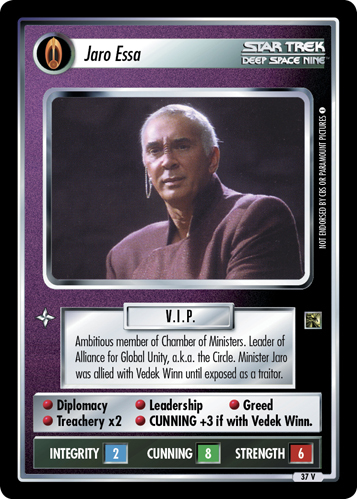 Member of the Circle. 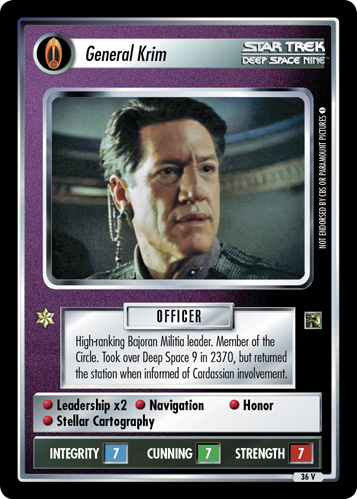 Took over Deep Space 9 in 2370, but returned the station when informed of Cardassian involvement.